Marc "Flex" Efune has made the second ascent of the eZemvelo classic "Flashpoint" 7C. 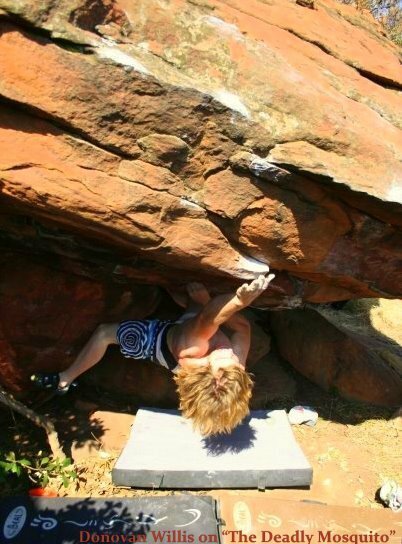 The climbers campsite is nearly complete and the area is bound to become Gauteng's premier bouldering destination, with hundreds of problems on excellent quality rock. Donovan Willis also opened a new 7C, near to the climbers' campsite. "The Deadly Mosquito" climbs out a small cave to round onto a slab, with the crux being a static pull off a poor sloper to gain the lip holds. Donovan worked the problem for a session and returned a month later to send it in better conditions.